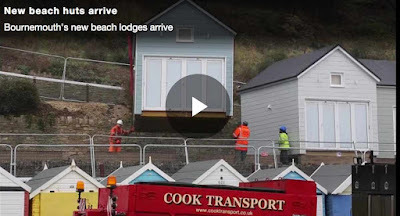 You can watch a fantastic video of how to crane a beach hut into a tricky position courtesy of the Bournemouth Echo here. It follows the installation of 15 new huts at Bosombe seafront. Each hut - which would make an evocative occasional shedworking space - can actually sleep six, and they all have hot showers, flushing lavatories and galley kitchens, as well as a living area and decking. I really don't think sheds are given the credit they deserve. Cheaper than a divorce lawyer, they have been keeping marriages together since they were first built..